Foal Creep Pellets are a highly digestible, milk-based feed and are ideal for foals whose dam is not milking well or to top up the nutrient levels in the milk supply. Their scientific formulation of milk proteins, carefully micronised cereals and supporting nutrients can be efficiently utilised by the developing digestive tract of the foal and can aid in the transition from mare’s milk, or Mare’s Milk Replacer in the case of the orphan foal, to compound feed. Research has shown that between 3 and 5 weeks into lactation the mineral levels in mare’s milk drop significantly, so feeding Foal Creep Pellets will help ensure that essential minerals remain in the foal’s diet to support correct growth. 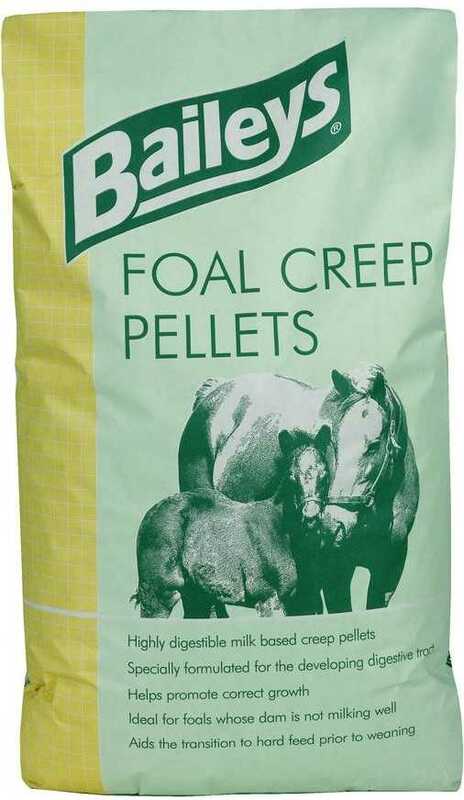 Foal Creep Pellets are also useful for suckling foals who are lacking condition and who would benefit from increased nutritional support before weaning.